FISHING representatives have been in talks with officials over the possibility of a no-deal Brexit that would see the end of the Common Fisheries Policy (CFP) in UK waters on 30 March. 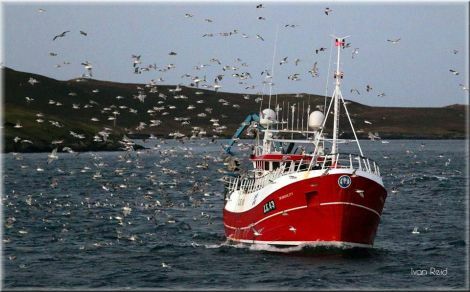 Shetland Fishermen’s Association executive officer Simon Collins said that while no-one wanted Britain to leave the EU in chaotic terms, fishing was nonetheless one of the few sectors likely to prosper in the long term in a hard Brexit. He said it was understood present arrangements would play out till the end of the year under a no-deal scenario, to avoid excessive disruption for industry. The UK would then hold the whip hand in subsequent fisheries negotiations with the EU and neighbouring states like Norway. In fact the latter might be the more significant player given the territorial distribution of fish stocks. According to Collins, if the EU does not agree a bigger share of fish quotas to the UK, the government can deny access to EU boats entirely – a sanction that will damage European fishing effort more than forking over some quota. But he expects changes to be evolutionary rather than revolutionary giving the industry, negotiators and markets time to adapt. Collins said that talks over how to handle a hard Brexit should have begun long ago, but that it had clearly been politically expedient to put that possibility on ice. If, on the other hand, there is some sort of Brexit agreement the UK will be ‘tracking’ the CFP, though not legally part of it, till the end of 2020. “This was never dreamed off three years ago. Fishermen had almost given up hope of getting out of the CFP when this sudden, unexpected opportunity arose to be free of it,” he said. According to Collins, the biggest prize may not even be getting more quota for the UK, it will be getting rid of the rules and regulations of the CFP – rules that were drawn up by remote bureaucrats in Brussels who had never even seen a fishing net and who paid no heed to the advice of the fishing industry. He expects that locally, at least, young fishermen who are in training at the moment will be able to take up the “slack” of extra jobs that will be created by increased fishing opportunities. But he did not think additional quotas will just be handed to the industry, but will rather become available in a more controlled fashion, which made more sense from a business and management point of view. Technical measures that had been introduced over and above CFP requirements had certainly played a part in ensuring fish stocks in Scottish waters, and, especially around Shetland, were in the healthiest state in years, a circumstance that would happily coincide with Britain leaving the CFP and would be “great for Shetland”. 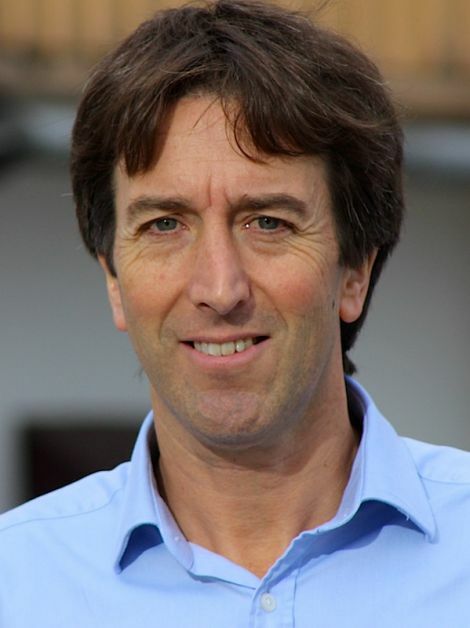 Shetland Fish Producers’ Organisation chief executive Brian Isbister has been involved in talks over quota distribution post Brexit and said that views from the government and other agencies indicated how exports might develop with the EU in the absence of any trade deal. “It will be a hugely cumbersome and complicated process, not doubt about it, but not insurmountable,” said Isbister. This will entail the UK demanding a greater relative share of fish, which has at present to be obtained by swaps. He said that whatever the difficulties and frustrations of the transition period, the industry “likes” the long term prospects of having greater fishing opportunities and greater say in management. He was also in agreement that the fishing industry was one of the few areas to have a “clearly defined benefit” regardless of how Brexit was obtained. “If the UK does not become the coastal state of management it could and should be, that’s a pretty poor outcome for UK PLC,” he added.